Say good-bye to that bulky beige monitor and treat yourself to an affordable, modern display. With a total depth of just over 7 inches, the FP931 gives your desktop a makeover and frees up space. The 19-inch viewable screen supplies a generously oversized view. A 1,280 x 1,024 maximum resolution and 0.294 mm dot pitch result in clean, accurate on-screen images. The 400:1 contrast ratio and 250 cd/m2 of brightness ensure sharp graphics even in poor lighting conditions, while the 130-degree viewing angles allow multiple heads a reasonably clear view when they're crowded around to check out the latest scores or spreadsheets. Both analog and digital connections are provided, giving you flexibility and speed. Onscreen menus let you easily adjust the monitor's settings. Additional features include a Kensington-compatible slot and wall mounting capabilities. Compatible with both PC and Mac operating platforms, the FP931 comes backed by a three-year limited warranty. This excellent monitor is very stylish and colors are astonishing. I had slight problem in the beginning where windows including text with smaller fonts on white background were hardly readable specilly colored text as in links of web pages. The brightness and contrast adjustments of monitor did not help to obtain perfect fonts with sharp edges (fonts where smudged and translucent). When I was getting convinced that I got what I paid for, I realized that the source of the problem was not the Monitor but the graphic card. I have older NVIDIA GeForce2 video card. If the drivers are installed, a new tab appears in "Advanced" window of display setting that contains settings for Vibrance, Brightness, Contrast and Gamma corrections. These settings helped to perfectly adjust the HUE and Brightness of the display and fixing the sharpness of the pixels. I love the superb quality and vivid colors of this monitor compare to my Dell ultra sharp monitor and I no longer miss my older ViewSonic monitor. I highly recommend this monitor and give it 5 stars for quality of the display and smart design of buttons. There are separate buttons for brightness, contrast (most frequently used buttons) and main menu. 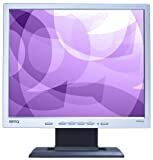 This monitor is a great LCD with DVI, crisp colors and fast response.The looks of the monitor are nice and I had ZERO dead pixels.However people should understand that when compared to good CRTs, LCDs quality is still inferior especially for the price. However for the size and the relative quality (it still looks great, just slightly faded next to my NEC 17" CRT -- but as good if not better than many higher priced, 19" LCDs).Keep that in mind, but you cannot go wrong with this LCD. I plan on buying a second. 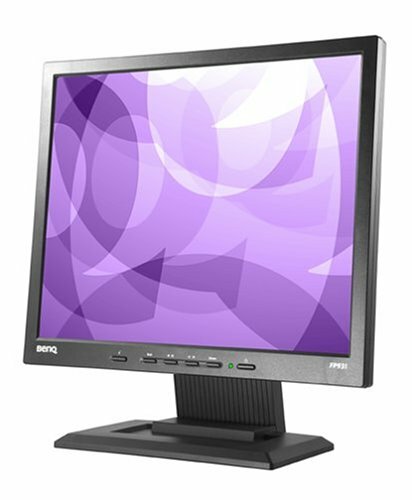 -- Be sure to get a DVI video card as soon as you can though to take full advantage of the monitor. 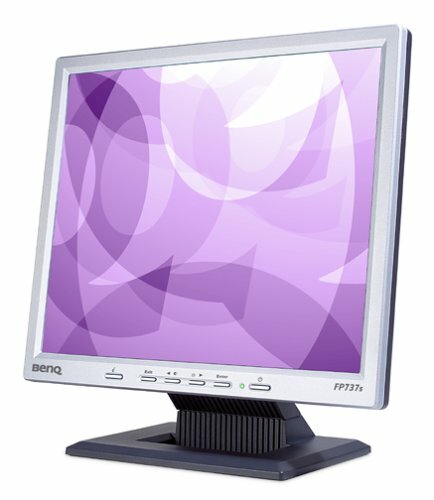 A 17-inch TFT LCD monitor from BenQ, the FP731 combines performance, features, and an affordable price tag. With its 1,280 x 1,024 maximum resolution and 0.264 mm dot pitch, images are accurate and text is easy to read. The 450:1 contrast ratio, 260 nits of brightness, and 16.2 million colors provide bright, true-to-life images suitable for a wide variety of home and office uses. The FP731 has a 25 ms rise response time for minimal ghosting during normal applications. With a small 14.8-by-6.1-inch footprint, the FP731 fits easily onto any convenient surface, and is also VESA wall mount compliant, freeing up desktop space completely. 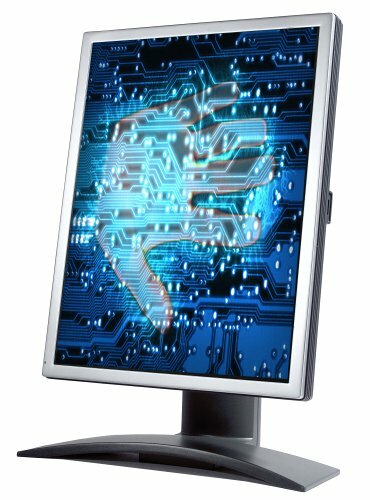 The FP731 has a horizontal viewing angle of 130 degrees (140 degrees vertical), while the anti-glare, anti-static screen treatment helps cut back on harmful reflections and the resulting eye-strain. With the onscreen controls, you can adjust a wide variety of monitor settings including brightness, contrast, and position. Energy Star certified, this stylish monitor connects via a 15-pin D-Sub analog port. It weighs just 9.7 pounds. 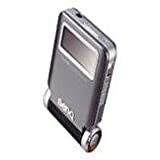 It is powered by a universal 100 - 264 VAC built-in power supply. 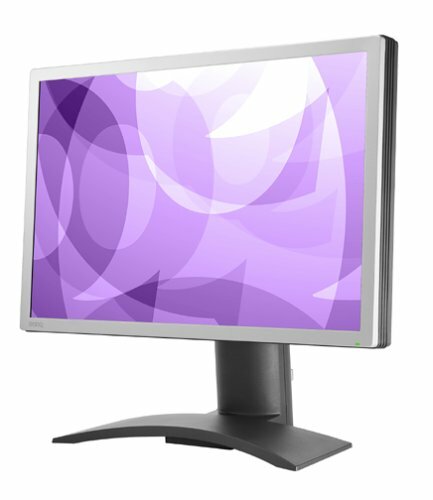 PC and Mac compatible, the FP731 also comes backed with a three-year limited warranty. The resolution and usefulness of BenQ FP731 is the same quality I see in the Sony LCD monitor. It exhibits excellent brightness and color and I would recommend it to others. The FP737S-D from BenQ is a 17-inch LCD monitor with a small footprint and VESA wall-mount compatibility. A 1,280 x 1,024 maximum resolution and fine 0.264 mm dot pitch result in accurate and easy-to-see onscreen images, while a 450:1 contrast ratio and 260 cd/m2 of brightness ensure visual clarity even in poorly-lit environments. 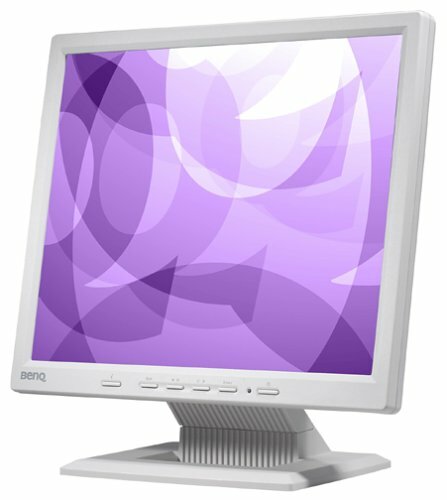 The monitor accepts analog RGB input signals via its 15-pin mini D-sub port; it also includes a DVI port (DVI-D connector) for use with advanced digital graphics cards. The onscreen display menu lets you easily adjust the monitor's most important settings, while an iKey auto correction feature adjusts your screen with the touch of a button. The FP737S-D has 140-degree horizontal and 120-degree vertical viewing angles, permitting comfortable viewing from a variety of placements on your desktop. Plus, with its small 14.5-by-6.1-inch footprint, this sleek monitor fits nearly anywhere, and its wall-mount compatibility allows you to free up desktop space completely. Compatible with both PC and Mac operating platforms, the FP737S-D also comes backed by a three-year limited warranty, when purchased new from an authorized retailer. 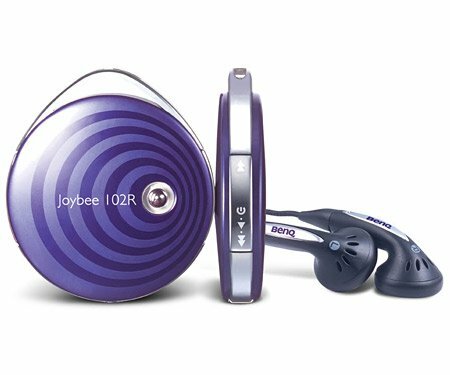 Show off your fashion sense while listening to your favorite tunes. This miniaturized MP3 player looks like a piece of fashion jewelry with its bold design and futuristic materials. Yet it holds a full 10 hours of your favorite rhythms. 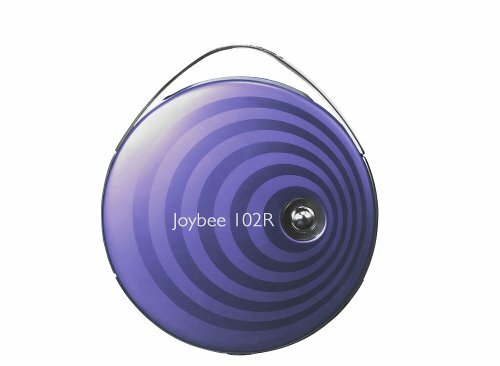 The Joybee 102R uses flash memory to store your music and data, so you never need worry about damage from vibration and shocks. BenQ and LightScribe don't mix... yet. The specs on this drive for CD-burning speeds are great, for DVD-burning they are average. 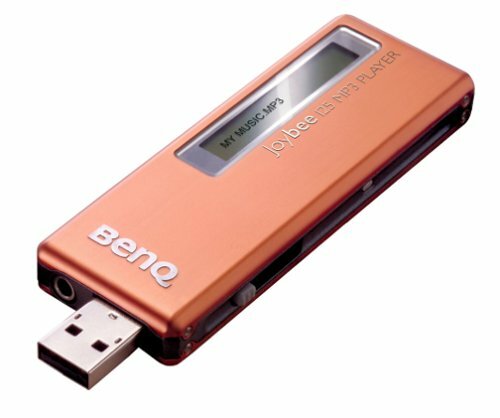 I bought this drive specifically for the LightScribe technology, and also because BenQ was thoughtful enough to produce the two common colors, beige and black. All the reviews online I could find regarding this drive were favorable. However, I was more concerned with the LightScribe technology which seemed pretty evenly compared across the board of the four most common drives utilizing the technology: HP, BenQ, LaCie, and Philips. 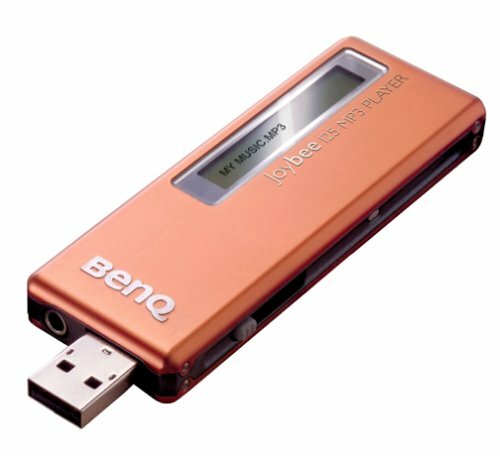 This BenQ drive ships with Nero 6 software to utilize LightScribe (in addition to downloading a LightScribe patch from Nero's website). Unfortunately, many unsucessful attempts to burn a label on Verbatim CD-Rs left me frustrated and with a bunch of corrupted discs (furthmore, even iTunes failed to burn successfully to these CD-Rs). 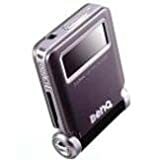 At this point, being current on all updates and firmware, I called BenQ tech support and was told that there are random bugs with their technology in this drive and that the worst cases show up with the use of CDs as opposed to DVDs. I was told that they were working on a firmware upgrade at this point, but that release is unknown. I'm returning this drive and going with HP since I suspect that they have done more thorough testing since they were the mind behind LightScribe technology... with hopes that they won't release a 'buggy' product to consumers just to have cash flow. Also, the burn time for making a label is 28 minutes using best-quality; so keep your eye on LG's (Germany) soon-to-be-released GSA-4165 DVD LightScribe Burner which boasts to cut that time down to 5 minutes!